If insects and other pests are bugging you both inside and outside your home, you are not alone. They are able to come inside through amazingly tiny openings and establish a strong foothold before even being noticed. Here are some tips to take care of what is bugging you and establish a safer and healthier home. Pests need very little time and space to set up housekeeping on your property and in your home. Check for pest entry points around the whole exterior of your home, then look all around the interior of your home as well. When you identify small cracks or holes, seal them with caulk. If they are larger, repair the surface so that a hole no longer exists. If screens have holes, get them repaired or replaced. Make sure windows have adequate weather stripping and caulk around them. When bugs, rodents, scorpions, and other pests are looking for an ideal habitat, they look for hiding places that can protect them from the elements and make a good place to nest. Cluttered areas of old lumber, miscellaneous junk, and yard waste are prime areas for pests to congregate and flourish. If you have clutter on your property, your home may become a prime target for pest infestation. This is especially true when you bring in an item such as firewood from outside into your home. To discourage pests, cut out as much clutter as you can from your property, and look out for bugs hitchhiking on logs that you bring into your home. Clutter in the form of full recycling containers, undisturbed piles of paper, and storage areas are also an attractant for pests. Make sure you sweep and vacuum regularly, and eliminate as many areas of clutter as possible. In addition, make sure that water is not allowed to pool in kitchen and bathroom drains, as drain flies can quickly multiply out of control with a moist area to live in. The regular use of drain cleaner combined with the elimination of dripping water can keep the flies at bay. A cup with a small amount of juice can be an ant attractant even if it is left out just one night, so it is important to be vigilant about cleaning up residue from food and drink. Make sure that all cups, dishes, and silverware are at least rinsed off after use, and that garbage with food residue is disposed of daily in a trash bin outside. Before you buy rice or other grain in the store, look at it closely to ensure that there are no moths inside the package that can infest your house. Your yard’s planting areas can support the deterrence of pests when landscaped with plants that are known to discourage pests. For example, the sweet-smelling lavender plant can keep mosquitos, moths, fleas, and flies at bay. One of the marigold’s benefits is that rabbits cannot stand them. If you have a problem with moles, planting Narcissus could be a solution to a lawn-wrecking pest problem. If your pest problem gets out of hand and you are at loose ends how to respond to it, the best solution is to consult a pest control professional for advice. Often, the only way to get rid of pest for good is to seek a reputable pest control company to solve the problem. They can make a comprehensive evaluation of your situation and recommend steps to take for full eradication of your pest issues. 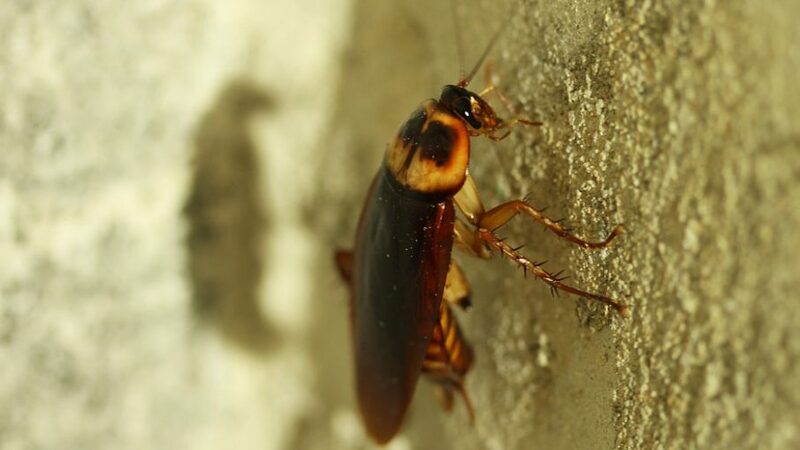 Although there are many ways to discourage pests from setting up housekeeping in your home, the reality is that many times pest infestations happen due to the season, weather conditions, and the part of the country you live in. Persistence and openness to trying different methods of control will help to eliminate what is bugging you.